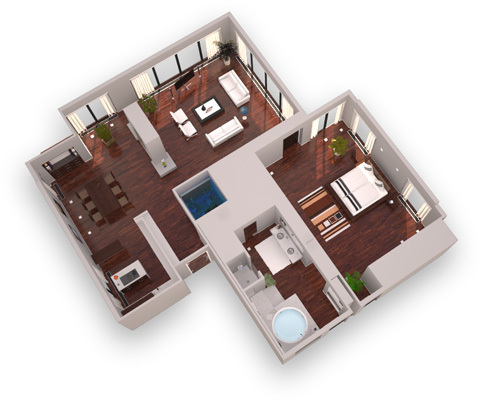 innea floorplans come in different styles. 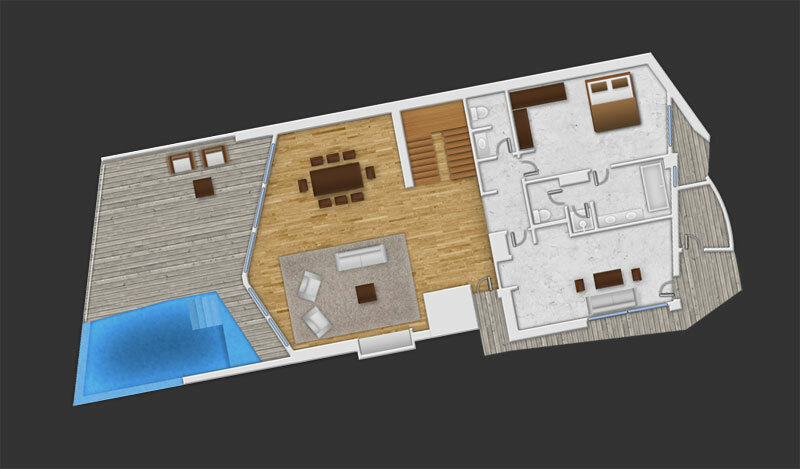 In a standardized process we craft and deliver the perfect floorplan for your client. 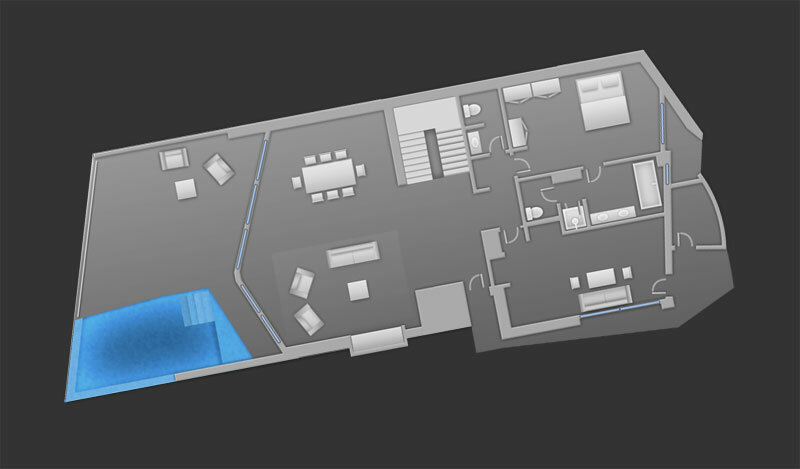 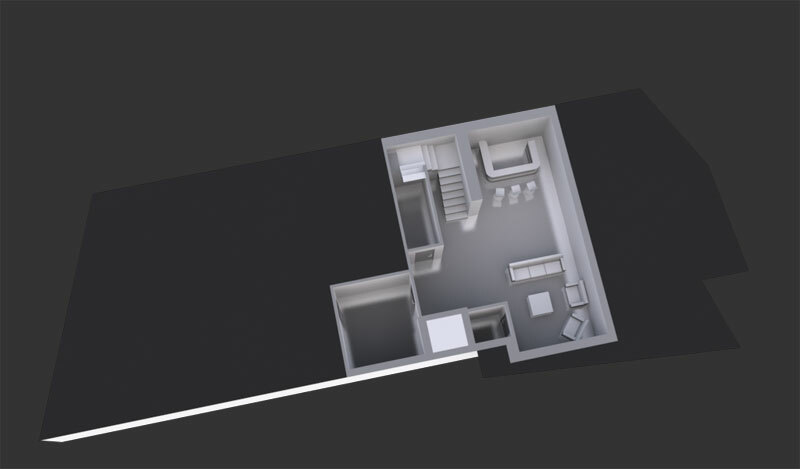 Our standard floor plan: Crisp and clean, easy to use and without any distractions it offers a great level of usability. 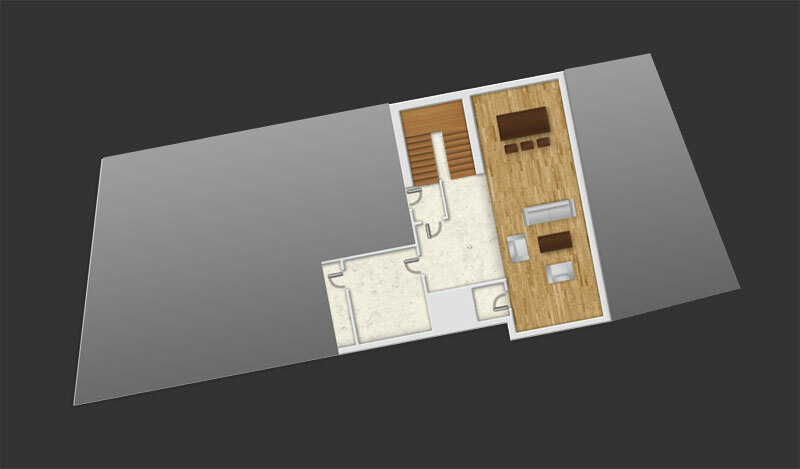 Closer to the real world: We texturize the floors according to your needs, and put standard furniture inside. 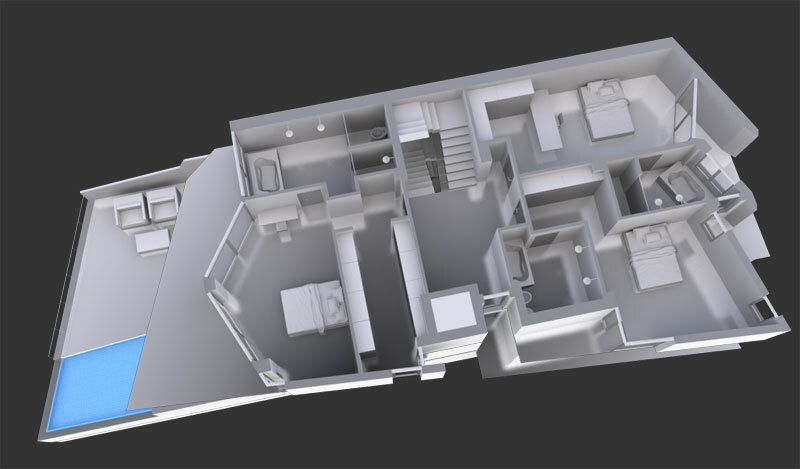 We want your client to feel at home. 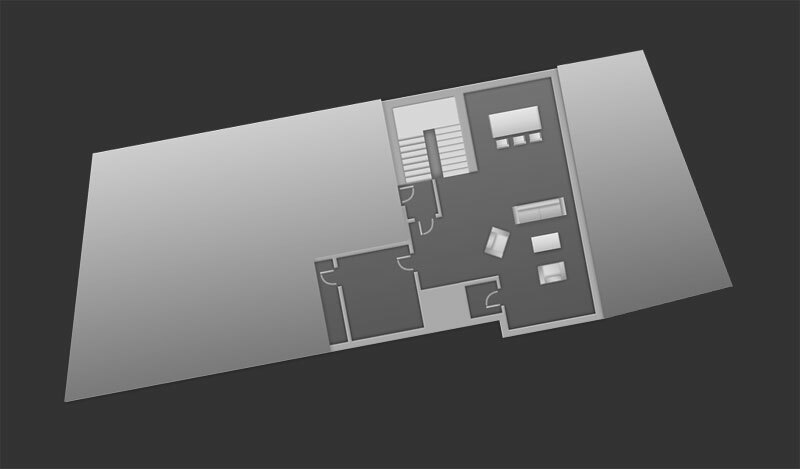 Step into the third dimen-sion: We love the abstract style! 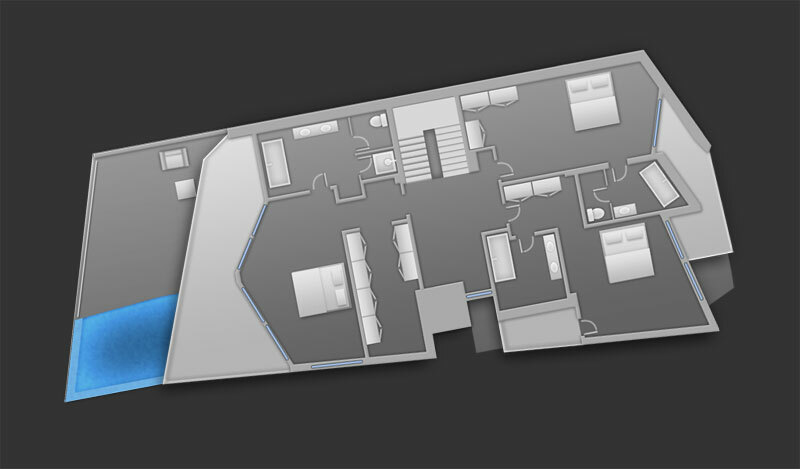 The floorplan can be colorized to perfectly match your GUI design. 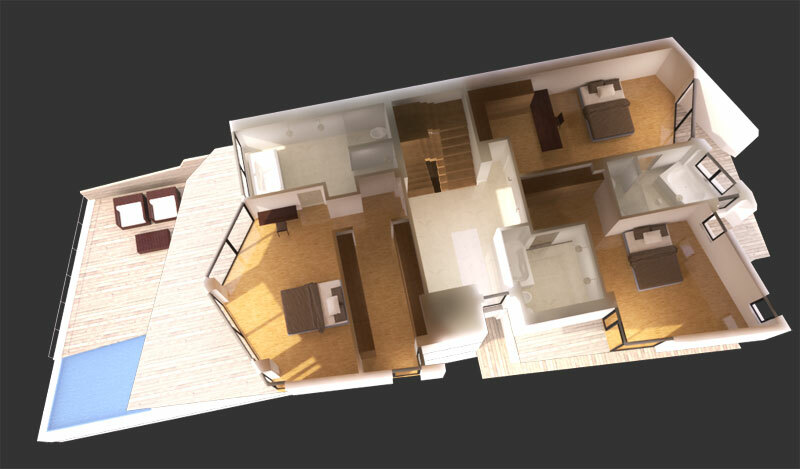 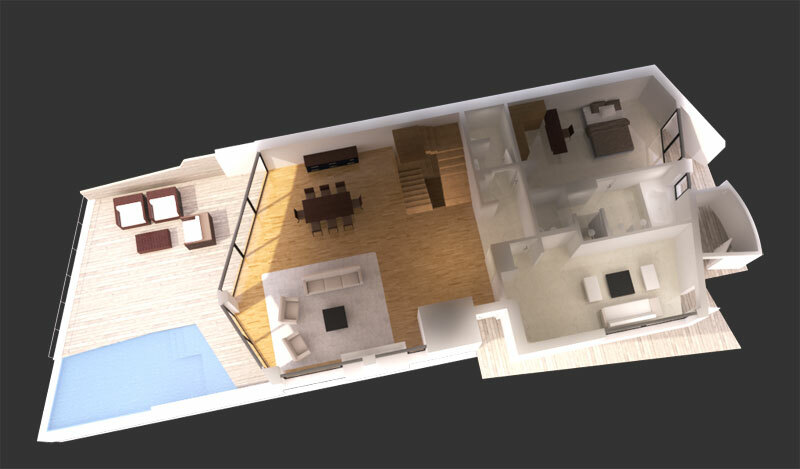 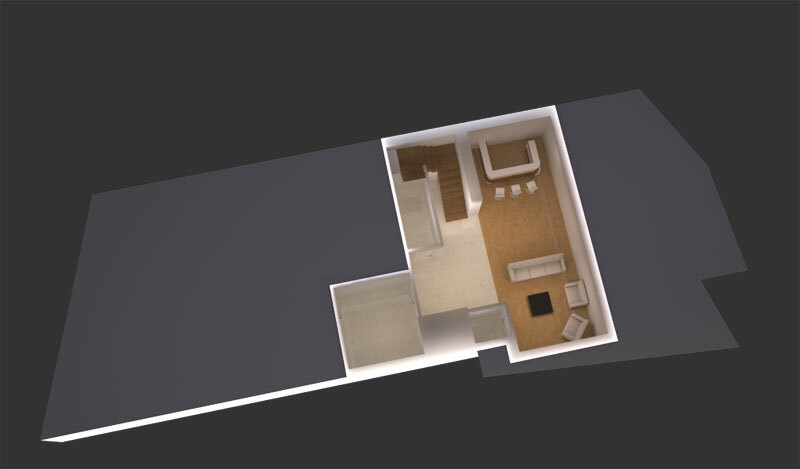 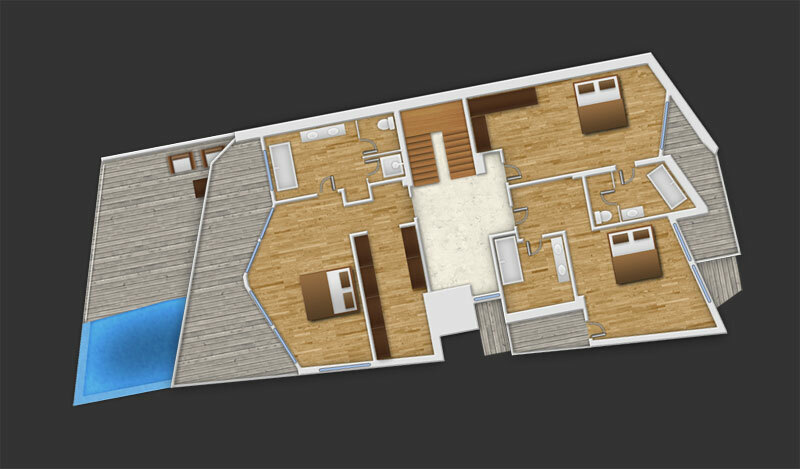 Our high-end solution: 3D floorplans with realistic looking textures and lighting. 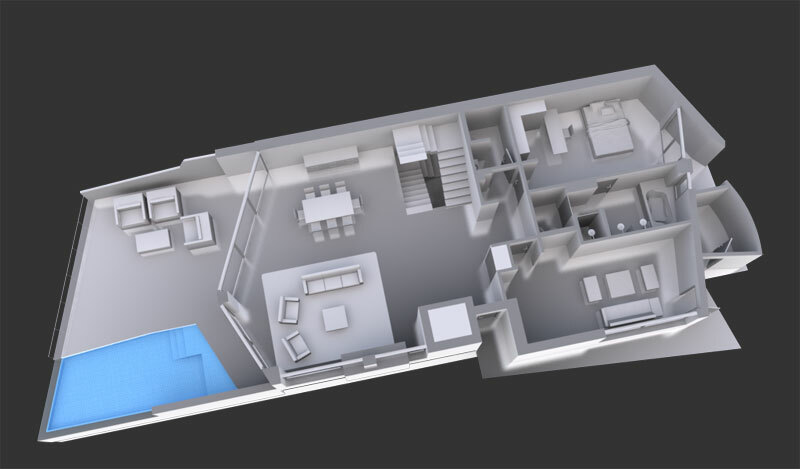 You can’t get any closer to the real world!